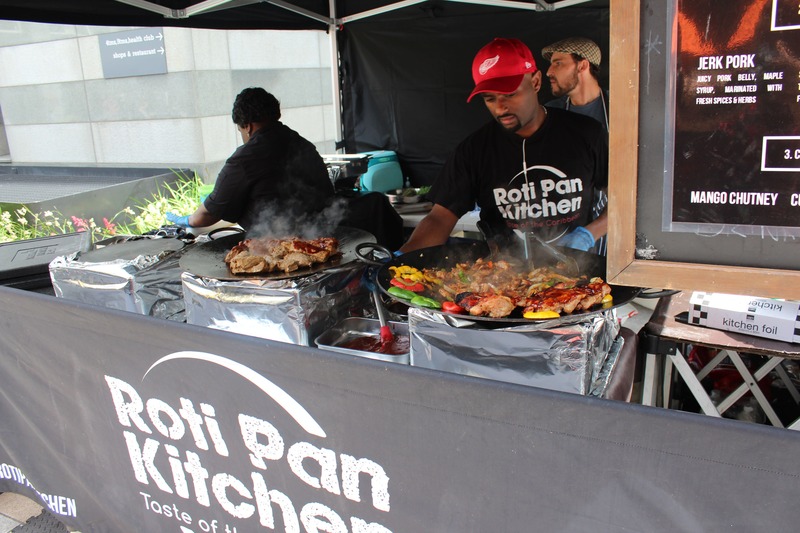 Roti Pan Kitchen are bringing you the explosive flavours of the Caribbean all in a delicious roti wrap! They specialise in dal puri Roti which is flatbread filled yellow split peas and spices accompanied with succulent grilled meat or aromatic vegetarian dishes rolled into a wrap. 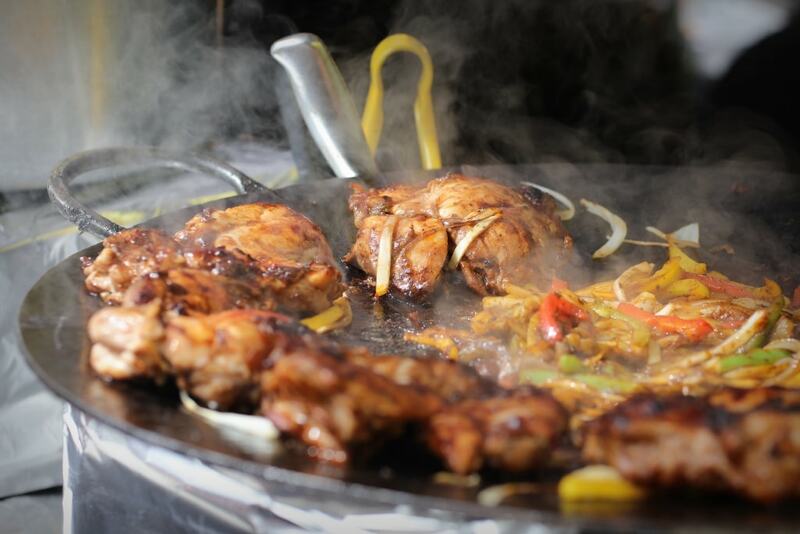 Their roti skins are made daily, freshly prepared and cooked right in front of the customer’s eyes, a method that gives an enhanced explosion of flavours! 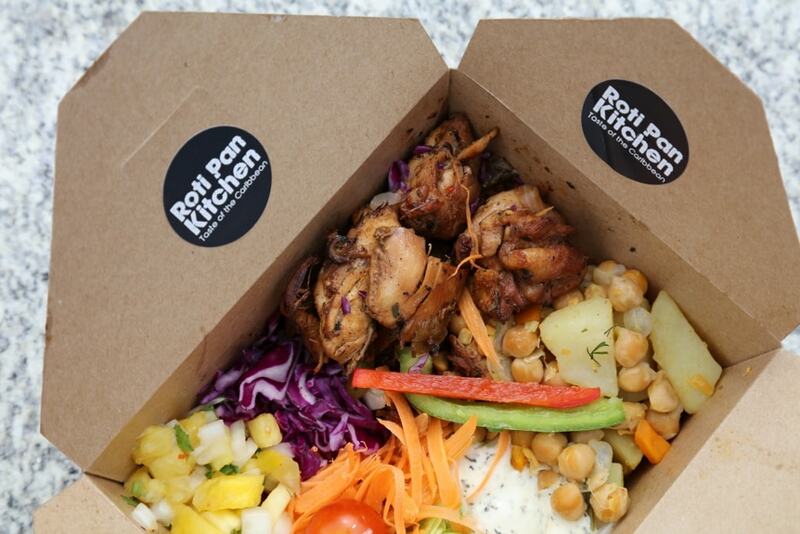 Roti Pan Kitchen are passionate about providing great tasting food and they only use fresh ingredients for all of their food. 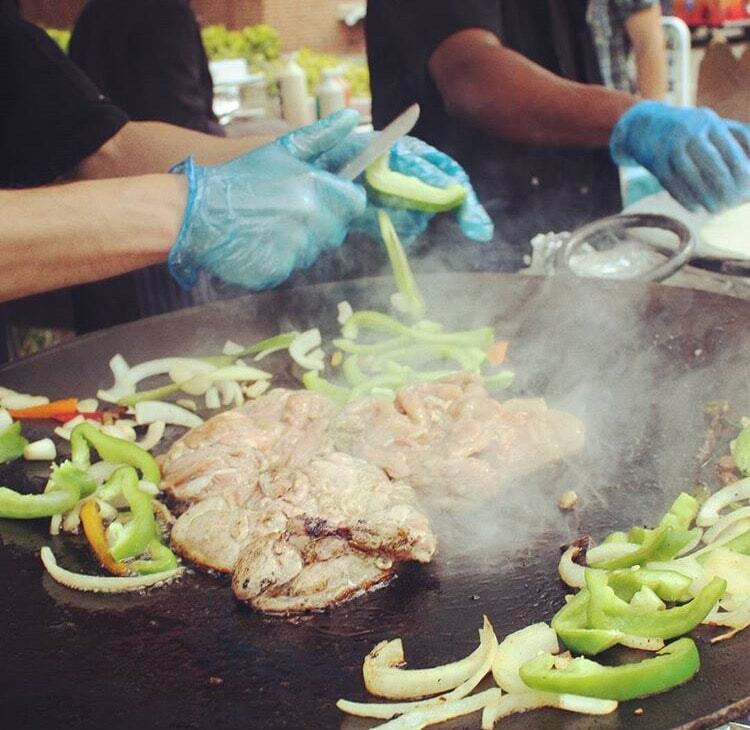 Their menu boasts some pretty amazing sounding rotis such as the Jerk Pork roti made with juicy pork belly marinated in a special jerk seasoning with maple syrup and herbs and spices, it’s seriously good! They even have a vegan roti, filled with a creamy chickpea curry and fresh coriander, so everyone will be happy! 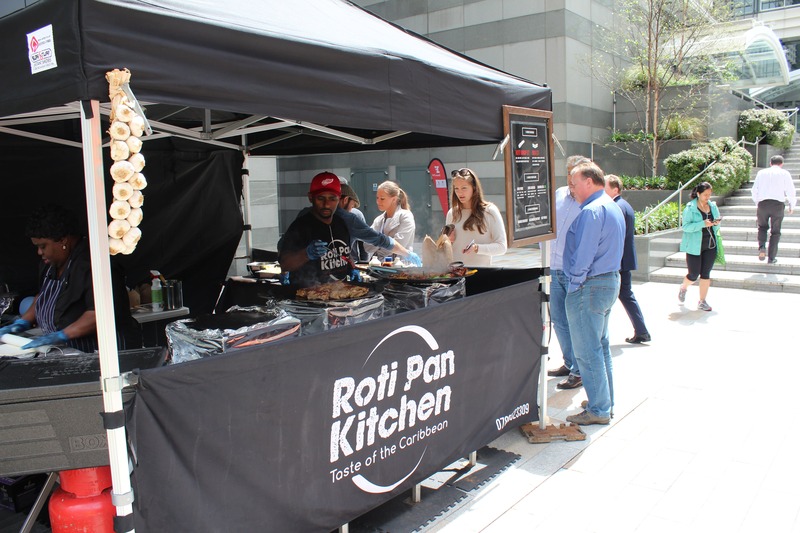 Roti Pan Kitchen absolutely love the instant connection whilst serving guests which keeps their passion for food alive. Book them for your next event, whether that’s a wedding, party or corporate event (or pretty much anything else), here on Feast It!